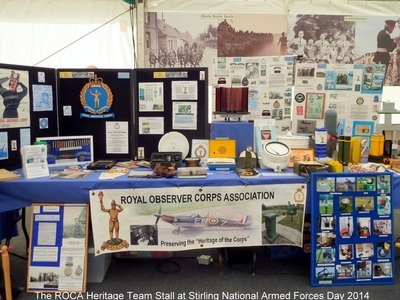 Armed forces Day 2014 Stirling - Royal Observer Corps Association This website was set up in October 2012 and is the new official site for the Royal Observer Corps Association. 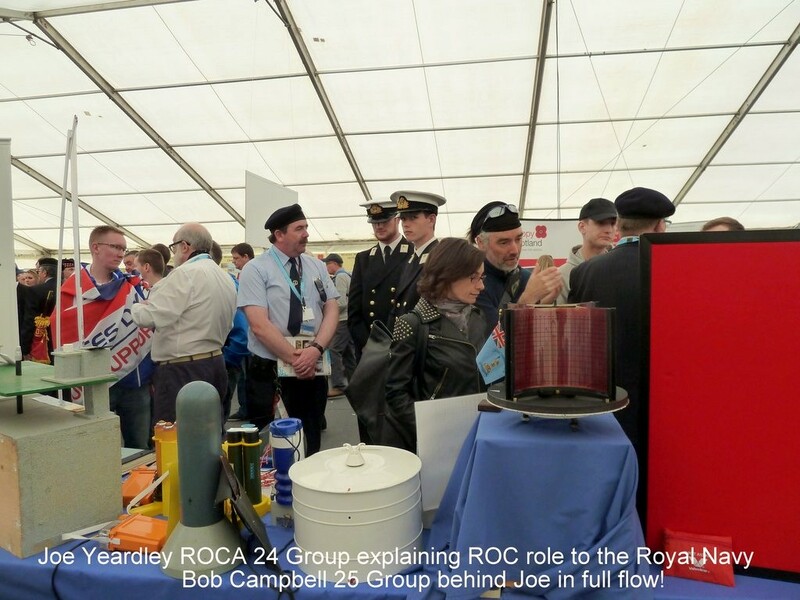 Lt Col Neil Morrison was again in charge of the Veterans participation and liaised with the ROCA Heritage Team closely during the months running up to the event. 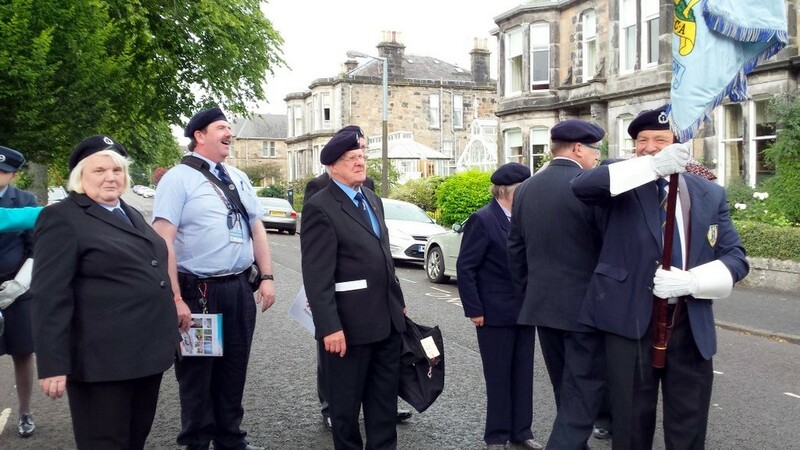 With both Bannockburn Live, and Pipefest Stirling, on the same weekend the town was going to be a very busy place and logistics of travel and parking were difficult. There were one or two minor niggles but on the whole taking into consideration the demands on the small town the event was very well run and a huge success with over 35,000 attending. John Sharpe and I co-coordinated the ROCA Scottish involvement and between us we again took the Arbroath museum on an outing which was complemented with some choice pieces loaned from Frank Alexander's museum in Largs. 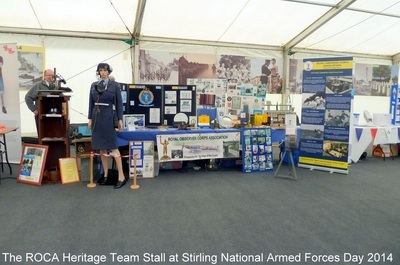 The photos show the array of equipment and we received many compliments for our efforts. 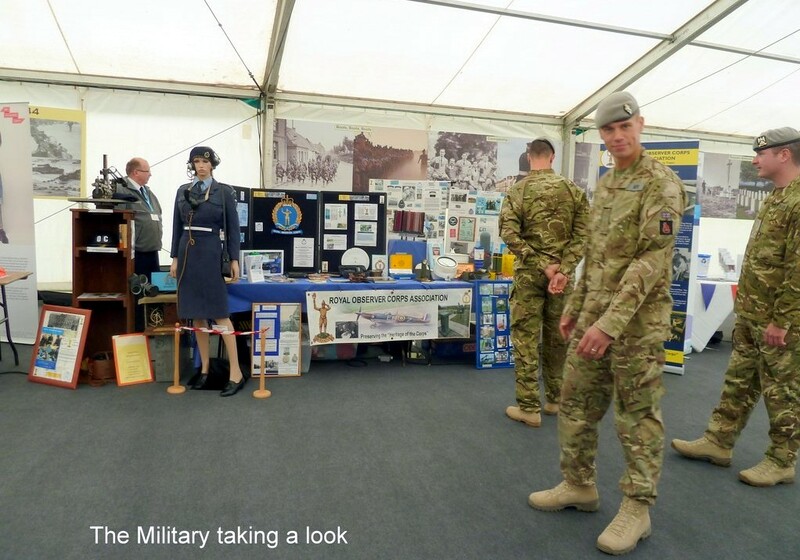 We had fourteen ROCA attendees who all did 'their bit' at the stall and eleven marched giving ROCA a presence at this year's National Armed Forces Day. 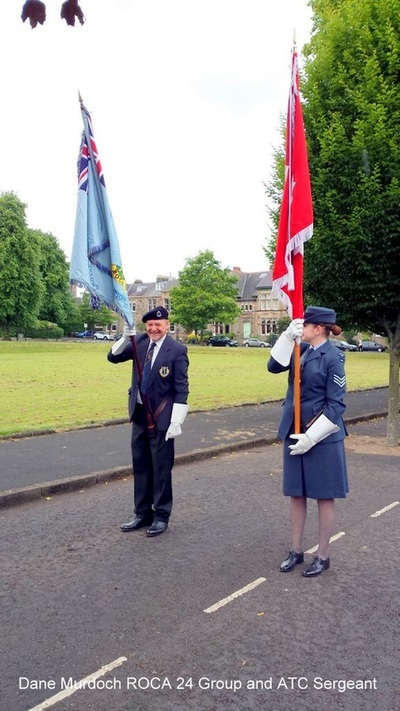 All of the Scottish Groups were represented. ﻿At least eight former ROC members stopped by - many not aware of ROCA but no takers to join unfortunately. 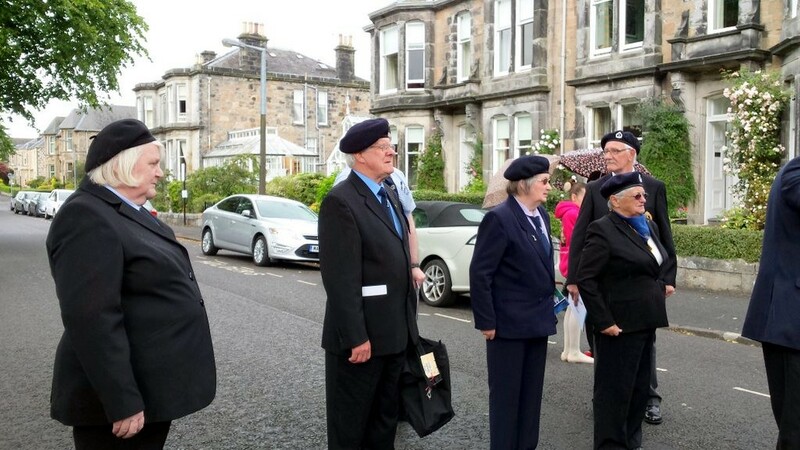 I had quite a battle with one lady, from the pre 70’s Oban 27 Group, who quite indignantly insisted that we were 'disbanded' and that there was no such thing as an Association! I managed to convince her, and eventually had her eating out of my hand! Together, with over 1200 Veterans, we proudly marched past the dignitaries at the saluting dais where Her Royal Highness The Princess Royal took the salute on behalf of the Queen. Also in attendance were David Cameron, Ed Milliband, Alex Salmond, Philip Hammond and others. ﻿ During the afternoon a fantastic variety of air displays took place. The Battle of Britain Memorial Flight Hurricane and Spitfire gave an extended display once the Lancaster had departed. Demonstrations by Sea King and Apache helicopters followed. 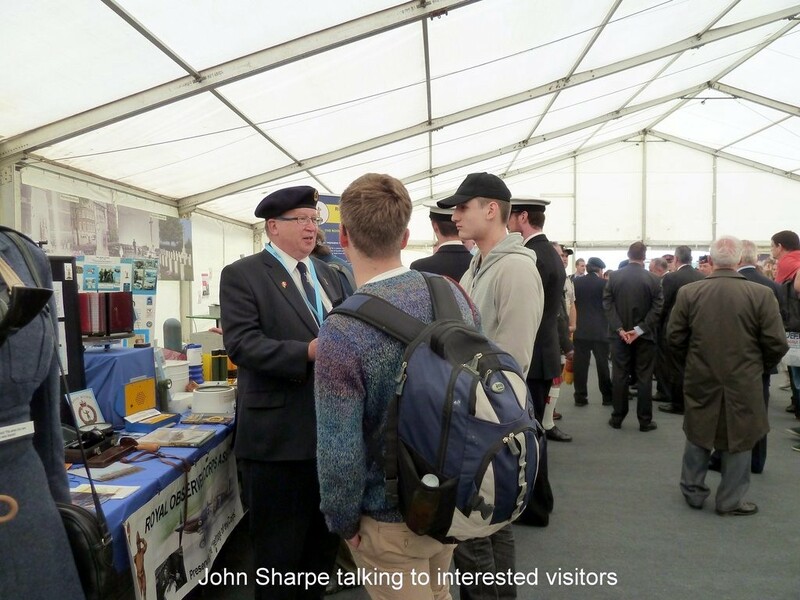 The Typhoon and Tornado jets made their presence well known, filling the skies with resounding noise and the Red Arrows aerobatic team closed the event. 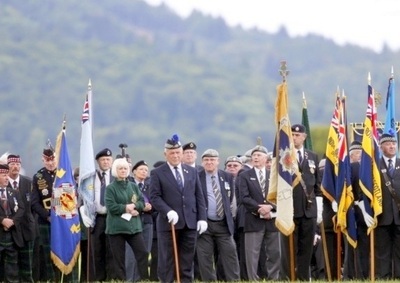 Other displays included Royal Marines fast-roping from helicopters, pipe bands, a parachute display by the Army's Red Devils, an artillery gun salute and troops staging a ground assault complete with casualty evacuations. Tanks and military vehicles were on display throughout the day. What started as a fine day and forecasted to stay that way, took everybody unprepared as the heavens opened twice mid afternoon. The marquee that was constantly busy anyway suddenly became jam packed as people sought shelter giving us an even larger audience. On bidding farewell to the Lt Col he said how much the Veterans and Service Charities organisation enjoyed ROCA's involvement at these events as we could always be relied on to put on a good show – praise indeed. John and I arrived back at Arbroath at 2100 to unload the hired van. 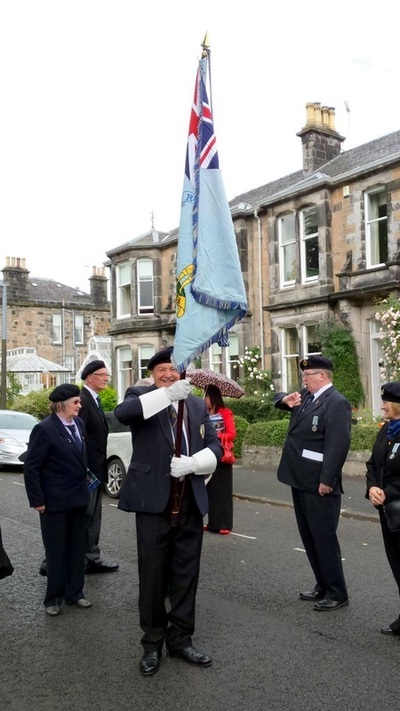 John then had the long drive home to East Kilbride. 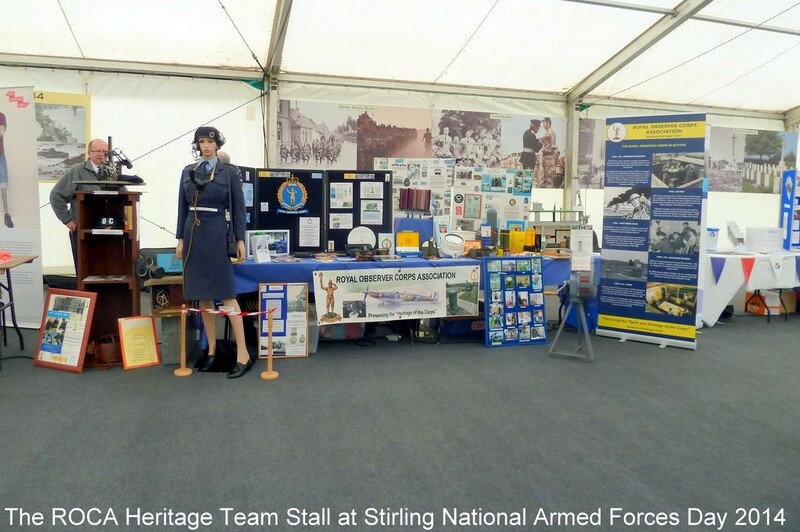 Everybody involved had been on the go since 0600 and John and I had been at Stirling setting up the day before so our beds were a welcome sight that night! 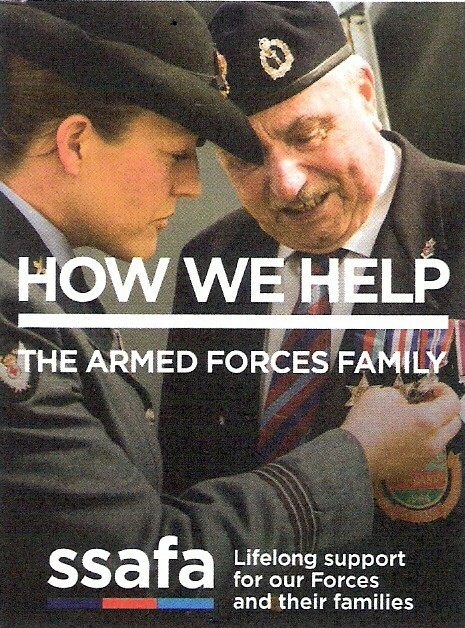 Link to Armed Forces Day March in full with the ROCA marches shown towards the end. Note the Regimental Shetland Ponies 'marching'! 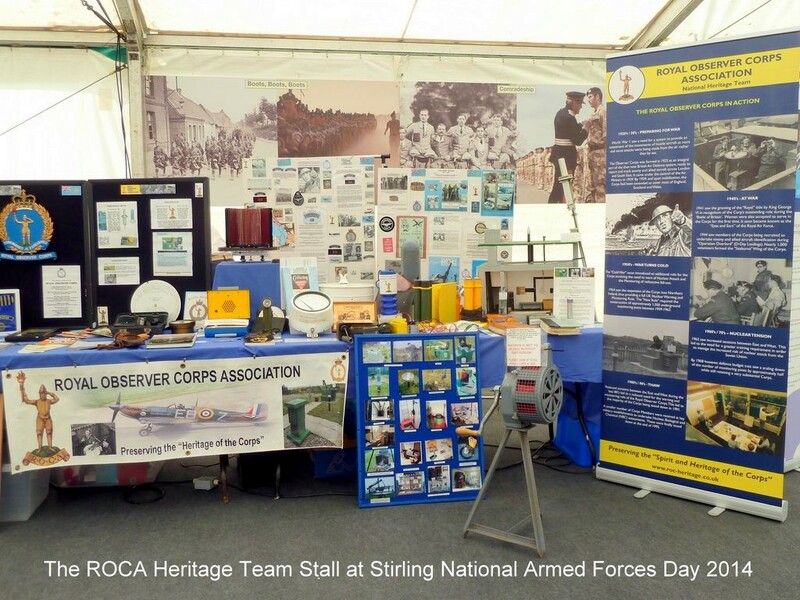 My thanks, on behalf of the ROCA Heritage Team, go to everyone who took part on the day, and behind the scenes, to make our attendance at National Armed Forces Day such a success again.